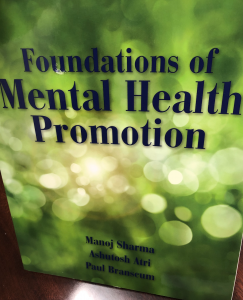 JSU School of Public Health professor Dr. Manoj Sharma delivered a public lecture Tuesday, March 26, at the University of Arkansas that promotes mental health improvements. 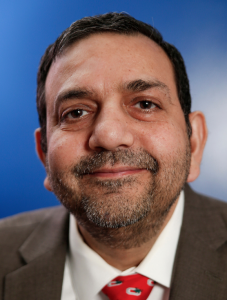 Sharma is a renowned expert and prolific researcher in behavioral health promotion. He has published nine books, written more than 200 peer-reviewed research articles and garnered more than $4 million in research funding. 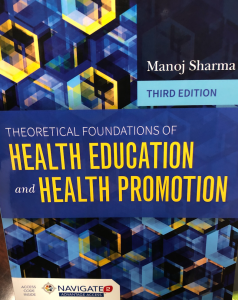 Dr. Manoj Sharma, a renowned professor in JSU’s School of Public Health, has published nine books and written hundreds of peer-reviewed articles. 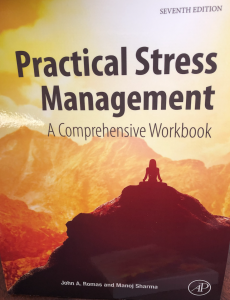 As a result, Sharma’s lecture delved into stress-management topics covered in many of his published works, including “Practical Stress Management: A Comprehensive Workbook.” That book, written in 1995, is now in its seventh edition. During his presentation in Arkansas, he addressed removing the stigma of mental health. In an earlier interview, he noted that stereotypes about African-Americans have resulted in a significant lack of proper mental health care. As a result, he said there’s a disproportionate rate of incarceration. He and other experts urge prisons to place more emphasis on mental health. Also, during his visit to Arkansas, Sharma discussed primary prevention strategies and ways to foster better mental health outcomes. “There are four factors involved in mental health,” he said. “These include biological factors (genetic and chemical imbalances); social factors (loneliness, isolation, social support); psychological factors (coping mechanisms); and spiritual-dimension factors.” Not surprising, but Sharma said the spiritual component is often neglected in the scientific paradigm. “In fact, believing in whatever religion – a higher power and doing selfless service – is helpful in resolving a lot of mental problems,” he said. 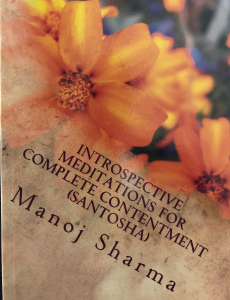 Sharma also cited “mindfulness meditation and yoga” as effective measures that can be tailored to individuals to prevent some mental health issues. That method can be accomplished at the individual, group and community levels. Sharma calls this a fourth-generation approach, and it derives from existing theories. Before expounding in-depth on this latest approach, he described the previous generations. The first generation, for example, used a knowledge-based approach (“don’t do this” or “do this”); the second generation emphasized a skills-based approach (problem-solving); and the third generation relied on theory-based (social cognitive processes). Now, with the fourth-generation method, behavioral changes are divided – with some factors responsible for starting the change and others noted for sustaining changes. To initiate a behavioral change, Sharma said a person must be convinced that the advantages outweigh the disadvantages. Then, the individual must develop behavioral confidence and immerse himself into a supportive physical environment. To sustain the behavioral change, the individual then needs to undergo an emotional transformation and continually practice the adopted change, he said. Lastly, he said, social support and changing social environments are essential to completing the process. His compelling research into this “Multi-theory Model of Health Behavioral Change” has resulted in 45 articles written by him. After three decades and an array of published articles, it’s no surprise that Sharma has made such an impact on the healthcare industry.